3 Bedroom Detached Bungalow For Sale in Nr Slapton for Offers Over £165,000. Situated in a tranquil setting and being one of nine luxury lodges, this was the original show home and was built to a particularly high specification approximately eight years ago. 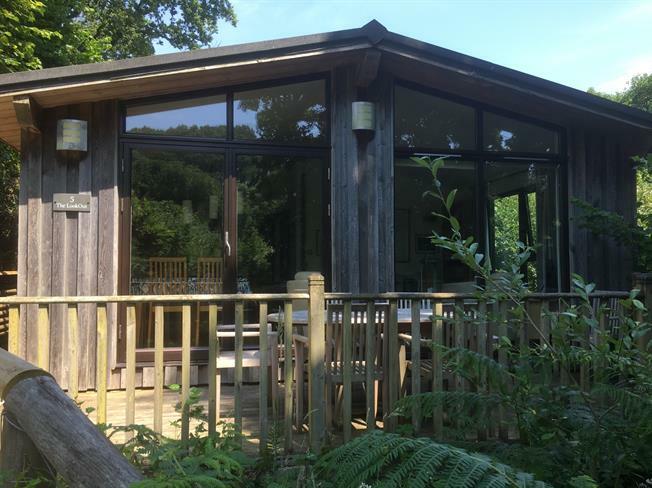 The accommodation includes an open plan living room with views into the woods, a high end fully fitted kitchen, three double bedrooms one with en-suite and a family bathroom. Solid oak floors and doors, uPVC double glazed windows and gas fired central heating. Outside there is a private decking accessed from the living room and communal grounds.